Over the past 12 months I have been adding to this collection of flowers and plants on my balcony in Brunswick West, Melbourne. There are a few tomato plants, one in foreground then one with a lattice at the back. 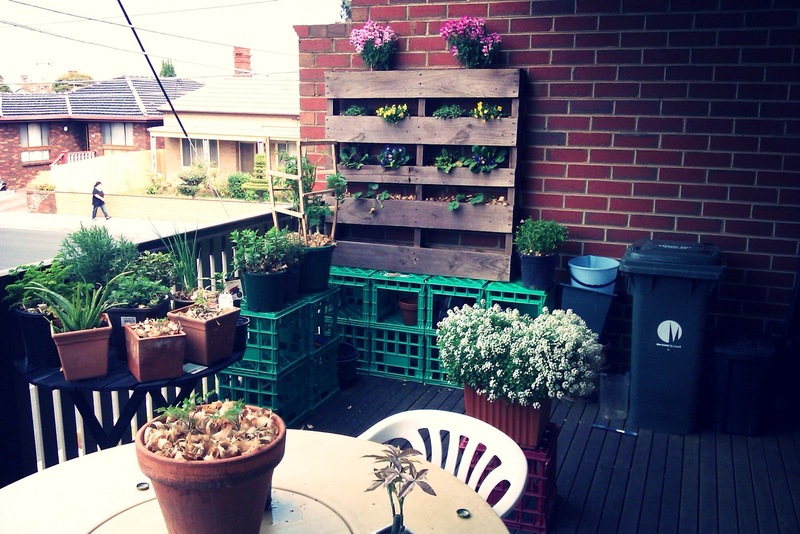 I have converted an old wood pallet into a vertical planter box with cheap colour plants on the top three levels then strawberries on the bottom, eventually spilling over sides. 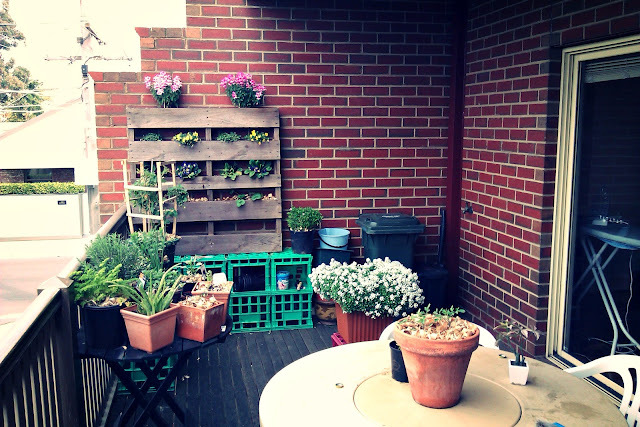 The milk crates double up as tables and storage, spare pots along with a compost in the bin on the far right. All the pots and containers were found in hard rubbish or otherwise recycled. Half of the plants were gifted to me by friends as seedlings. The mulch is shavings from the wood workshop I have down stairs. It wasn't expensive, looks pretty good for a share house..... over summer it will be undergoing some extensive renovations, I will keep you posted. What do you think?